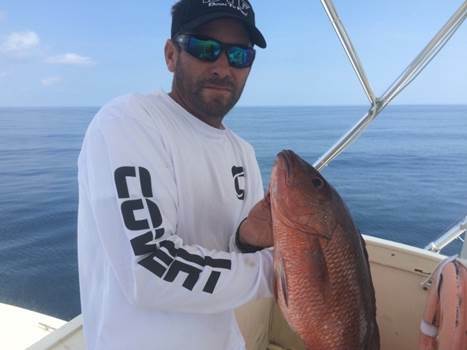 Captain Freddie Zona is the owner and operator of Freddie Z Fishing aboard Southwind Charters. 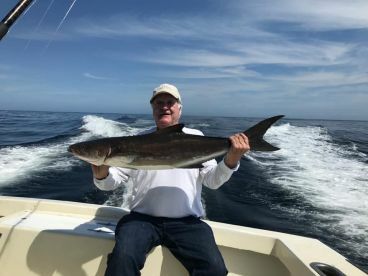 He has fished the waters of Central Florida since 1994 and enjoys sharing the knowledge he's picked up over the years. 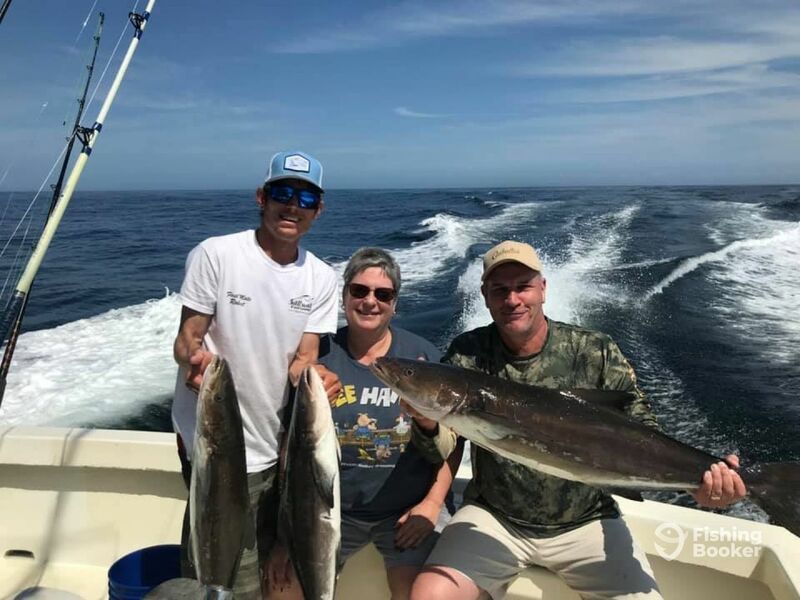 He knows how much fun fishing as a family adventure is, and likes nothing more than to show the little ones how to get started. 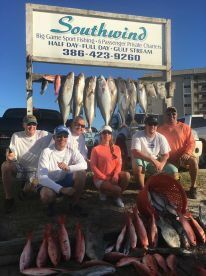 Fishing out of Ponce Inlet, Captain Freddie is lucky enough to enjoy some great versatile fishing. 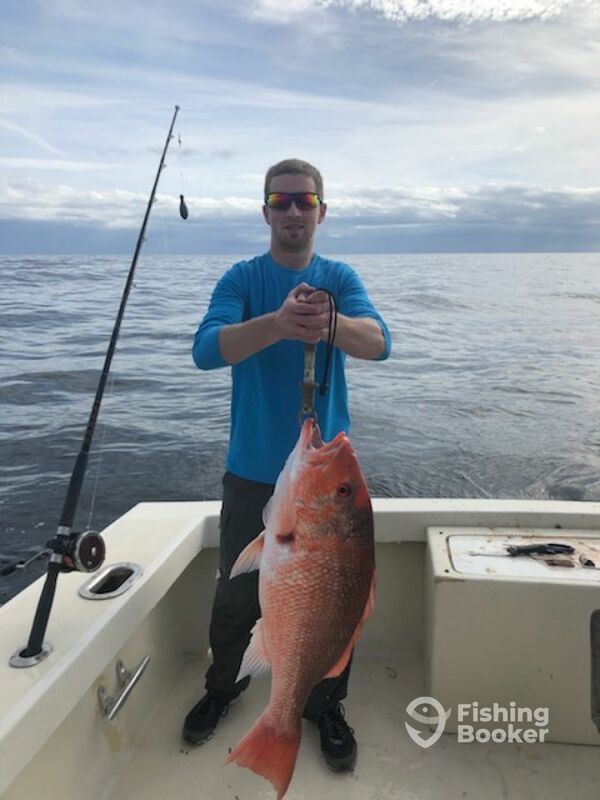 From 5 miles to 50 miles offshore, the numerous wrecks, reefs, and ledges are his favorite bottom fishing spots. 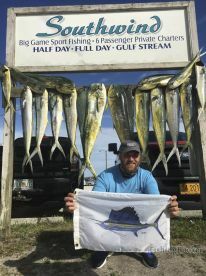 The Mahi bite is going off!!! The bottom bite in on!! 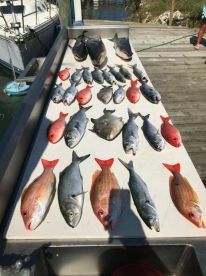 We had and awesome day fishing with Freddie and first mate Robert, Started out trolling caught black fin tuna, and king Mackeral! Went a little deeper for some more king. 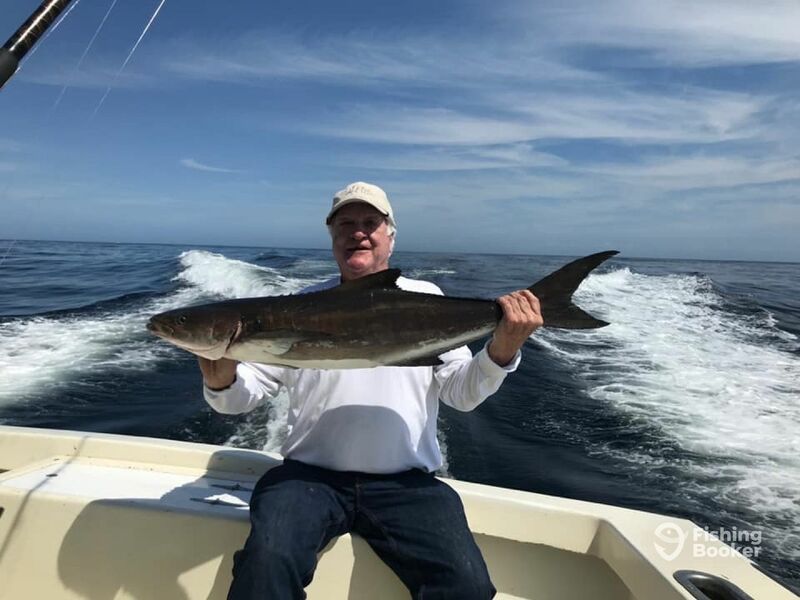 Caught some huge amberjack, and leather jack one hell of a fight. 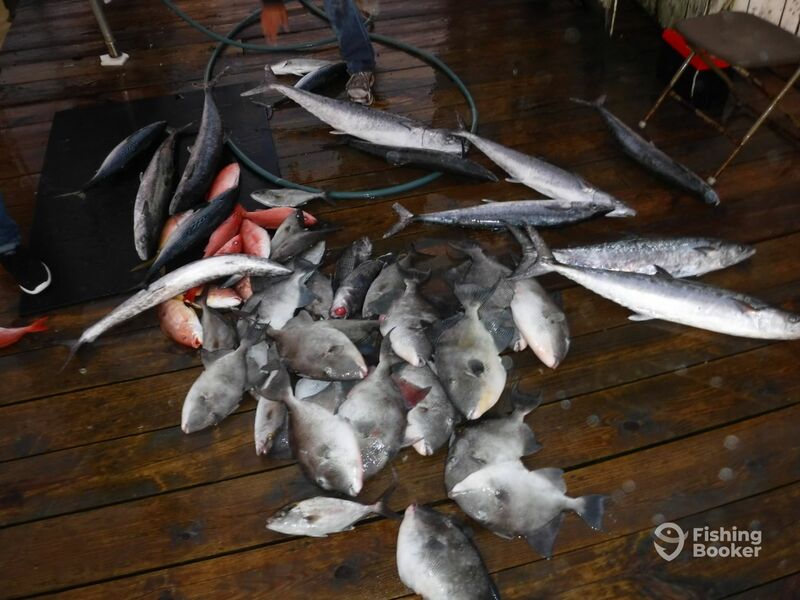 Back into 100 ft of water where we caught our limit of trigger fish with some of the biggest triggers I’ve ever seen! Also caught a lot of red eye snapper. Captn absolutely killed it putting us the fish and the first mate kept the bait coming and kept us in the water! Glad you all enjoyed it. 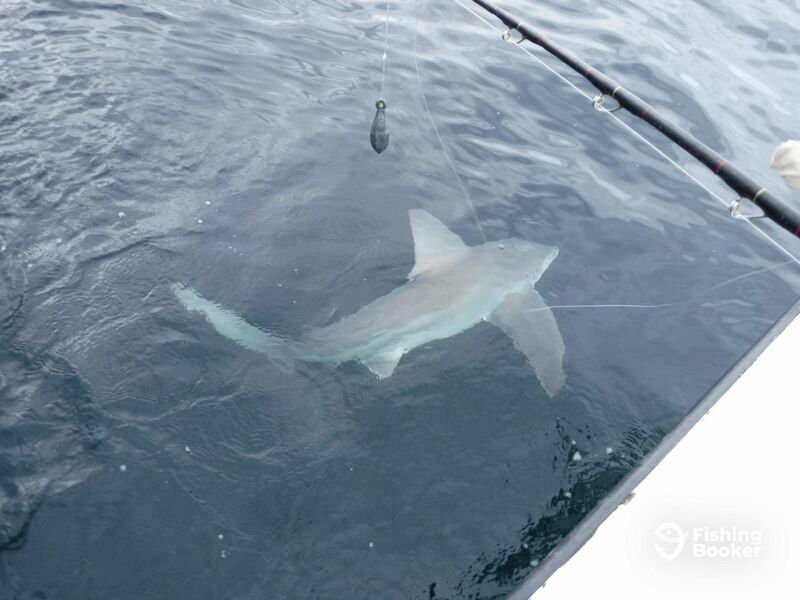 Hopefully will try to get out again soon and maybe the trolling fish will cooperate a little better. Looking forward to seeing you guys again. Had a great trip fish with Freddie. We stparted our day early and was able to get out where we want by sunrise. 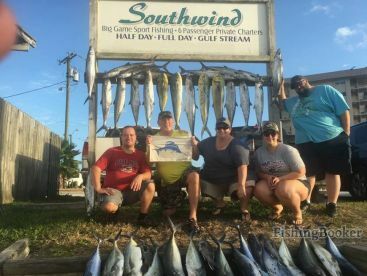 We trolled for kingfish and caught our limit in less than a half hour. Then bottom fished the rest of the day. Caught a lot of fish to take home and eat. We caught at least 100 fish all together. We keep Robert the first mate busy all day long. He done a great job keeping up with the lines and the fish. Thanks for the great time Freddie and Robert. Thank you for the review Brian it was a great day and we hope to fish with you again in the future. This was the first trip with my family and we loved it. 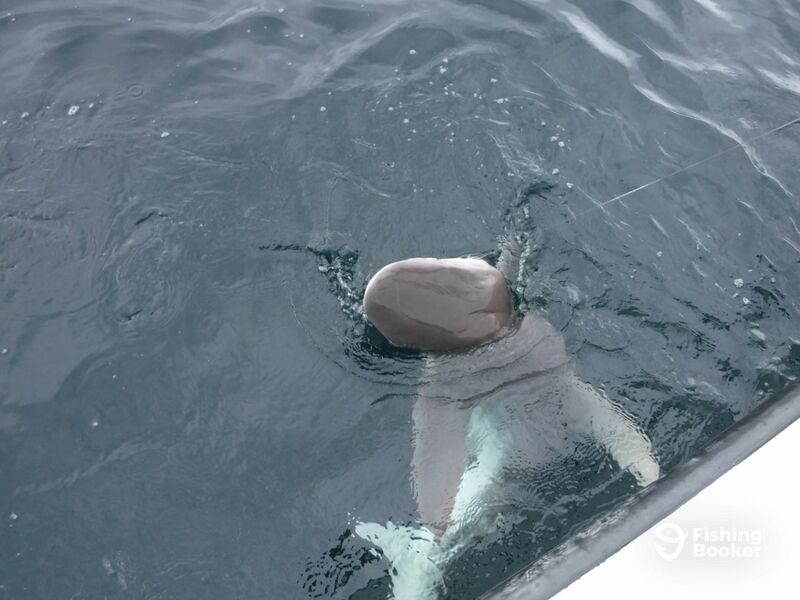 We are already planning a trip for next year but a all day trip next time I just wanted to make sure they could handle being on the ocean. The mates were great ( Robert and Bean ) I cannot tell you what a great time we had. Please don’t read this review thinking this must be friends or something it was truly the first time we had ever been with these guys. We started off right away catching fish ( Kings and Bonita) then we kept getting robbed by either sharks or cuda’s But still had a great time. Boat was spacious and had a toilet made the family feel comfortable. We will definitely be back next year. Had a wonderful day fishing reefs and wrecks. Capt. Freddie Z was great, and his First Mate Robert was awesome. Those two never slowed down, and never quit trying to give us a fantastic day on the water. I would recommend this charter to anyone, and will certainly be visiting Freddie Z and the Southwind again. forward to the next trip. Excellent day of fishing! Trolling was good, bottom was good. Great captain and mate. Thank you!!! Thank you for the review Tanner. Look forward to our next trip.